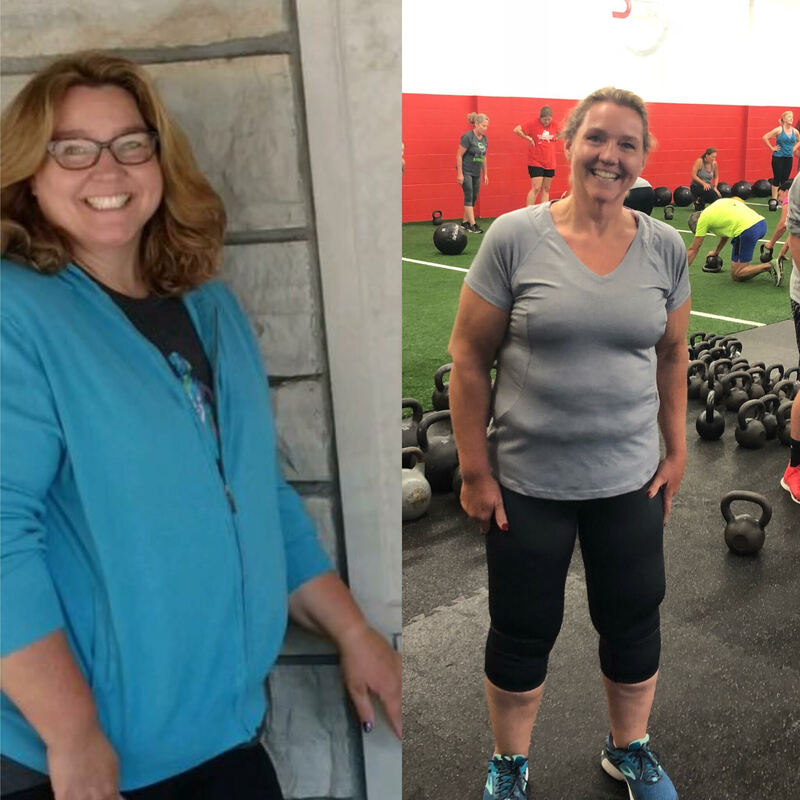 How Kim Went From Not Working Out in 15 Years to 45lbs Down! Before DSC I had not worked out in over 15 years! I heard about DSC’s Women’s Group Training when DSC’s owner came to speak at our Rotary Club and then through Facebook posts. Coming into DSC, I wanted to tone, tighten and strengthen my overall body! I had a lot of fears about joining! I was excited to join but because I had never worked out like this before and I was very intimidated to do so. I never pictured myself doing this! My first Women’s Group class was awesome even though I was incredibly nervous that I couldn’t do it! I quickly realized that there were women of all shapes and sizes in the class and that we were all in it together! I LOVE DSC’S Women’s Group! The program has given me so much self-confidence and it has made me believe in myself! I am willing to try any of the workouts now and know that it is ok if you can’t do something like someone else. The trainers are right there with you to show you an alternate way that works for you and still allows you to have an awesome workout. Since joining DSC I have lost 45lbs! But I have also built a lot of muscle. I went from using 8lbs weights to using 20-25lb weights. I have gone from a size 20 to a size 12! I slowed down losing weight about three months ago, but because I am working out I have gone down another size and have put on muscle! My favorite part of DSC? All of it! It is hard at times but worth every minute of it! To anyone thinking of joining DSC’s Women’s Group I would say, try it! It may be a challenge at first but once you start coming you will be addicted! When I miss a week or even a class I am anxious to get back as soon as possible!